Carrie and Saul are on MAL, now we need Brody too. Yep, Mr. Inigo Montoya himself lent his voice to a Ghibli film, one of three not-so-bright but funny "sons" who get to provide goofy comic relief. Although there isn't much depth to the character, there hardly has to be. 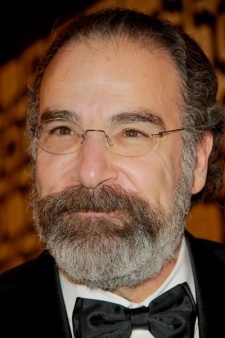 All Patinkin has to do is be funny and relish his role, and he does just that. Particularly amusing bits include: his "Pazu loves Sheeta!" tease, his desire to lick the spatula, his shy offer to help Sheeta, a dry remark "She IS good", and at the very end when he screams "SHEETA!" is giddy joy. I wasn't as entertained by his turn as Hattori in THE WIND RISES, however, as his character is much more down-to-earth and not comical. As such I'm more neutral about his turn. He didn't really stand out to me one way or another in that movie. I liked him better in LAPUTA, but hey, great that Inigo got to do another Ghibli dub.